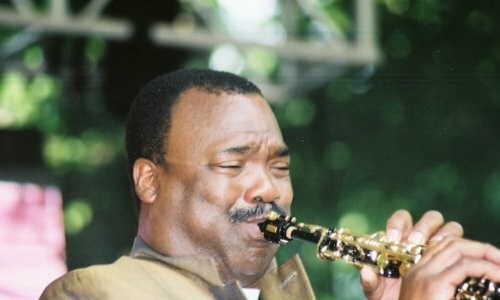 The brother of classically trained flautist Hubert and jazz singer Eloise, Texan saxophonist Ronnie Laws first learned his trade under the tutelage of such legendary talents as The Jazz Crusaders and Hugh Masakela in LA. He was a member of the 70’s much-revered soul group Earth Wind and Fire, where he played tenor and soprano sax for a two-year stint, before finally venturing out to pursue a solo career. Assisted by immortal jazz great Donald Byrd, he soon signed his first recording contract with Blue Note records, resulting in the impressive debut album Pressure Sensitive (1975), produced by family friend, Wayne Henderson, (a founding member of the contemporary jazz pioneers The Crusaders), which rapidly emerged to become the longest selling album, at that time, in the 42 year history of the label. Like his contemporary Herbie Hancock, Laws garnered controversy from jazz purists for his non-trad jazz fusion style which also ventured into r&b and pop. His first hit, ‘Always There’, was one of the most popular, sax-driven, cross-over hits of the 70’s jazz funk fusion era. He followed this up with gems such as ‘Grace’, ‘Karmen’ and ‘Just Love’, and his third record for Blue Note, Friends and Strangers was propelled to gold status after selling over 500,000 copies. Opening the show will be flautist and saxophonist Chip Wickham. Lauded by Gilles Peterson for his excellent LP La Sombra released in 2017, Chip is the latest name to emerge from Manchester’s fertile jazz scene.